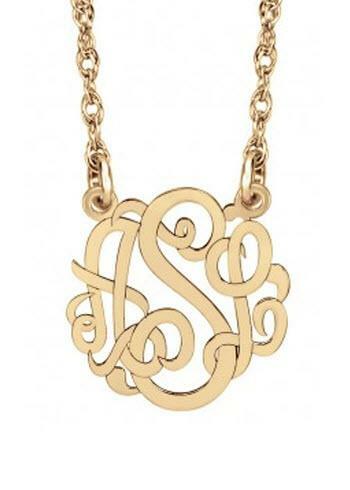 Add a little magic to your everyday wear with this beautiful monogrammed mini necklace in a classic script. Accessorizes perfectly for the office or for a night out on the town. It measures at 3/8 of an inch and hangs on your choice of a 16 or 18 inch chain in your favorite metal type. Give a gift that she will cherish for years to come. Please specify the three initials exactly as they are to appear in the text block. Choose you metal type for your necklace. Choose your length chain for your necklace.